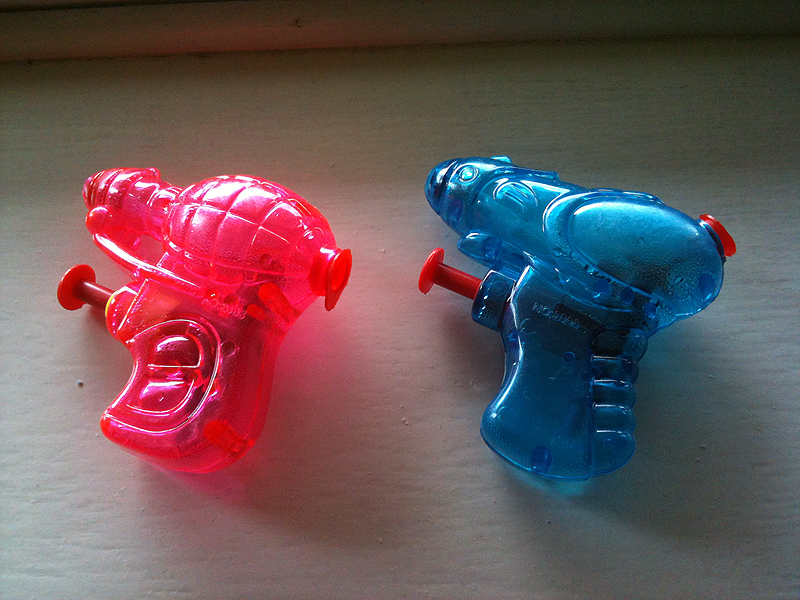 Two of the various water pistols we have in my household. What’s a Summer without water pistols? I had a water pistol session the other day with my daughter Isabella. We both got very wet but it was a very hot day. There’s just something fun about shooting water from plastic brightly coloured toy water pumps.